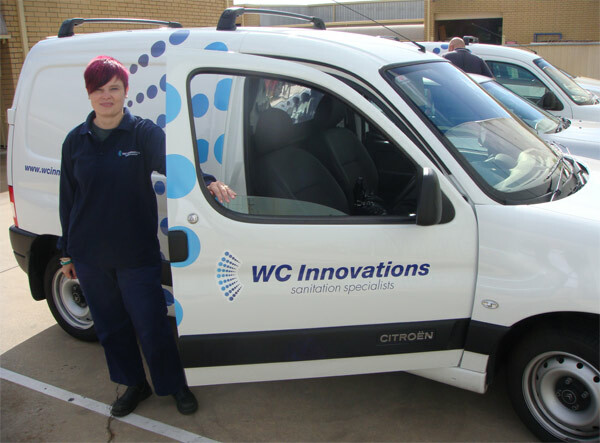 WC Innovations provides its clients with maintenance and cleaning service, called WC Care, for conventional public toilets and Exeloo public toilets. 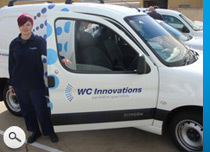 WC Care is provided in Victoria, South Australia and Western Australia. In the metropolitan areas, over 300 public toilets are generally serviced daily by 22 field technicians. All maintenance and cleaning activities are coordinated with a real time field management system which also provides clients with real-time on-line visibility of activities and jobs as they are undertaken, including a full servicing history. Toilets are serviced according to the particular needs of each client, be they maintenance or cleaning or, most commonly, both. This service extends to routine preventative maintenance contracts for regional and rural locations from Cowes in Victoria to Kalgoorlie and Port Hedland in Western Australia. At WC Innovations we believe that coordinated toilet cleaning and technical maintenance go hand in hand to provide a better customer experience and better life-time value of any toilet, particularly where high volumes of users or highly fluctuating numbers of users occur. Our staff undergo specific training in all aspects of both cleaning and technical maintenance to ensure that a clean and mechanically toilet is available at all times for the public. We have a range of service options for different toilets and organisations. The key to well managed and well maintained toilets are experienced and conscientious staff. We have a dedicated and skilled team of maintenance and cleaning technicians who can take care of your toilet facilities, both public and private. Contact Paul Webb to discuss options and your needs on 1300 393 566.